We are not in the business of making economic predictions. However, that won’t stop us from doing so now. But first, let’s take a look back at 2018. Many of our 2018 predictions held up well until the last 3 months of the year. This is when a host of malevolent factors converged and pricing for risk assets disintegrated. While we are not pleased where many prices finished the year, there does not appear to be anything fundamentally wrong with the economy or the businesses in which we have chosen to invest. 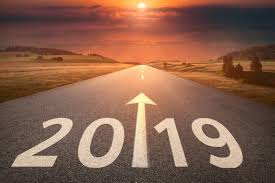 Since we have started the year with lower prices, we are excited about the prospects for a more constructive year for total returns in 2019. Our predictions for 2018 with follow-up commentary. The Minnesota Vikings make it to the Super Bowl, but not sure if they will be on the field or in the stands – There is always next year. We finished 2018 with a score of 8 for 13. We’ll see if we can improve upon this in the upcoming year.